John R. Porter entered the telephone business with Cumberland Telephone d& Telegraph Co. in the Auditing Department in Nashville, Tennessee. He served Cumberland in various locations for four years. For the next nine years, he served the same company as district manager or manager in various towns in Kentucky and Tennessee. In 1918, Porter joined the Home Telephone & Telegraph Co. at Henderson, N.C., as general manager and assistant treasurer. 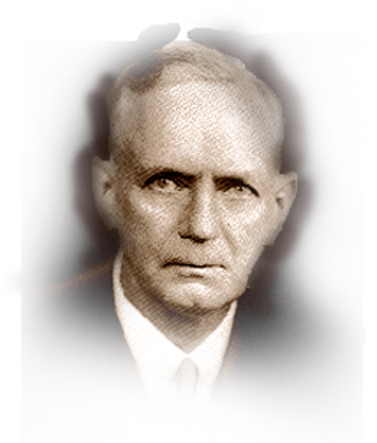 He was elected to the board of directors of Home Telephone & Telegraph in 1923 and three years later was made executive vice president and board member of Carolina Telephone & Telegraph Co. in Marlboro, North Carolina. He served in the same position with Home Telephone & Telegraph in 1928. Elected president of Carolina Telephone & Telegraph in 1935, Porter was elected to the same position with Home Telephone & Telegraph in 1944. He was elected chairman of the board of Carolina Telephone in 1945 and to the same position with Home Telephone in 1946. From 1957 to 1959, he served as honorary chairman of the board of both companies. He was president of USITA in 1943 and served with distinction in this office and on several committees of USITA. He served his company and the Independent industry for 59 years. He died in 1959.